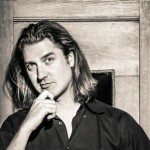 Tommy Krul co-founded Super Evil Megacorp in 2012. He believes that truly good and deeply compelling games are timeless and ultimately prevail over fine-tuned shallow addiction cycles. Their mission is to make deeply engaging and technically outstanding games, while embracing all the opportunities of new platforms, new business models and a games industry in flux. Super Evil’s first game, Vainglory, was featured during Apple’s iPhone 6 keynote event and has launched world-wide to rave reviews. Vainglory also won two awards for the 11th IMGA: People’s Choice Awards and Best Technical Achievement.